Florida has never suffered from a shortage of beautiful beaches, but if you're sticking to the mainland, you're missing out on the state's magical islands. Set sail for one of these all-time favorite Florida destinations if you're in the mood to experience some of the best vacationing the Sunshine State has to offer. You'll feel as though you've left modern civilization behind in Cabbage Key. Cabbage Key is a tiny island not far from Fort Myers. It doesn't have any roads, which means the revving of a car's engine will never disrupt your island adventure. Miles upon miles of nature trails surround a quaint, low-key restaurant and inn. If you're looking for a beautiful place to spend a few days, consider booking a reservation and enjoying a luxurious vacation. The tropical foliage, crystal-clear water, and abundant wildlife on Cabbage Key will make you feel like you've been stranded on an island -- but in a good way. Of all the Florida islands, this one might be the most serene and picturesque, especially when you consider the lack of creature comforts. You can focus on deep conversation with your significant other, reflective walks in the wilderness, and reading the latest bestseller by your favorite author. 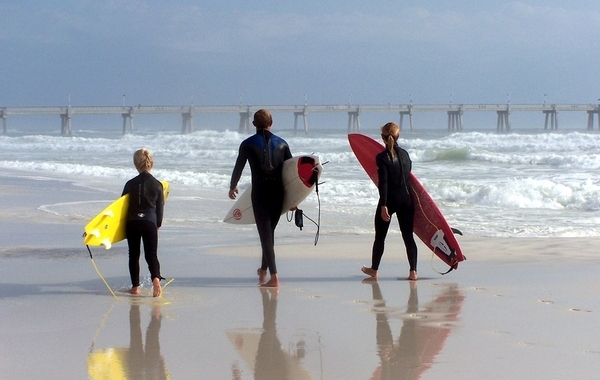 Surfing and other water sports prove especially exciting on Amelia Island. If you love to surf, boat, bodyboard, or pursue other adventures in the water, plan a visit to Amelia Island. 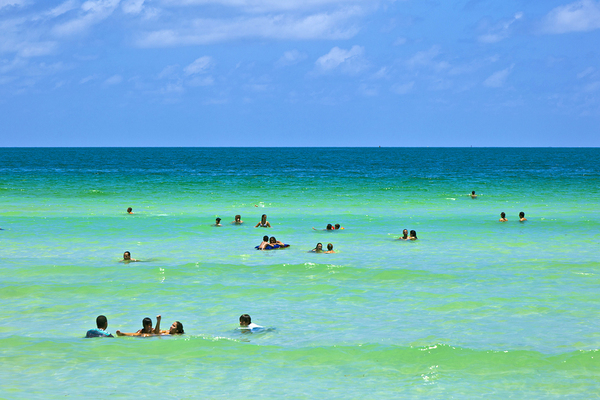 Like many Florida islands, it offers pristine sand, abundant sunshine, and high-end hotels. Though it's not as secluded as Cabbage Key, it's ideal for travelers who want to meet other people and enjoy modern amenities. Maybe you'd like to visit Amelia Island without the crowds. Islands.com recommends shooting for the "secret shoulder season," which occurs in late fall and early winter. The population drops considerably as other vacationers head back to their daily lives. You won't get to spend as much time on the beach or in the water, but you'll love the reduced hotel rates. Perhaps you're looking for that comfortable middle ground between a rustic retreat and a thriving beach town. If so, head to Little Palm Island. This resort island features cozy bungalows, endless stretches of surf and sand, and a convenient marina. It offers plenty of amenities as well as a beautiful locale for an event, but it's quiet and unobtrusive. An on-site pool allows you to take a dip if you're not in the mood for saltwater, and there's a library in the main resort building so you can catch up on your reading while you're away from it all. Suites and bungalows come with shaded verandas when you want to enjoy the great outdoors in private, and you can purchase the full meal plan in advance so you don't have to worry about what to eat. Whether you're looking for an island destination to visit for an afternoon or you're overdue for a week-long vacation, Florida islands offer the perfect solution. To set up a savings account for your trip fund, contact us today.